This November Victaulic will shed a light on a few of the many opportunities we are thankful for within this organization and our surrounding community of colleagues, friends and family. Not only are we grateful for our dedicated employees, many staying with us over the course of their career, but thankful for the ideas that have turned into innovations and the opportunity to partner with organizations that continue to support the communities which we do business with in an abundance of selfless acts. Victaulic is thankful for the opportunity to be a proud partner of the United Way – the world’s largest privately-funded non-profit organization. Collectively, United Way raises more than $5 billion each year to create community solutions to improve the quality of life for everyone – effectively impacting more than 50 million people every year. Victaulic has been a partner of the United Way for almost 50 years. Through United Way, the opportunity to see proven programs available for those in need is possible which is why over 30 Victaulic employees actively serve as ambassadors and board members of the United Way. Click here for more ways to get involved. Beyond the United Way, Victaulic supports more than 35 organizations every year—providing millions of dollars to people and families in need and organizations that benefit performing arts, education, the environment, health and human services. We are corporately committed to and actively engaged in the betterment of the global communities where we do business through both volunteerism and charitable giving. Victaulic is thankful for the opportunity to have supported employee initiatives over the last 100 years and looks forward to the next one hundred. Safety has been a part of the Victaulic culture since its beginning nearly a century ago. Products are innovated to be reliable, durable but above all else, safe. 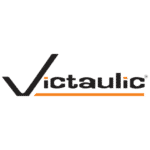 Victaulic is about more than just its products and services – it’s an organization committed to leading the industry with a positive impact on people inside and outside of the company. Reduce the number of loose parts associated with standard grooved couplings. Less parts equals less risk. Create visual, pad-to-pad inspection for most of its products instead of needing a torque wrench. Aside from reducing man-hours and creating faster installation time on jobsites, its products are safer than welding, brazing, soldering or fusing because they install without the use of flames, fire or heat. 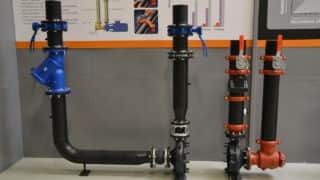 With Victaulic, pipe fitters are no longer exposed to dangerous fumes, tanks, torches and potentially dangerous lead lines. Not only is it Victaulic’s goal to create jobsite safety but workplace safety in general. Victaulic strives to create a company-wide safety culture. Prioritizing safe jobsites and workplaces allows customers to see Victaulic’s manufacturing and production practices as safer and more efficient, and employees take pride in their accomplishments at work. Everyone is at risk during a fire and it is important to understand how to stay safe in the case of one. 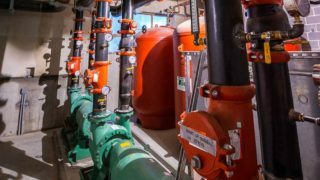 Automatic sprinkler systems have been considered property- and life-saving devices for decades however, many facilities are not properly outfitted with fire protection systems. These associations have a similar goal, to improve the methods of fire protection to eliminate loss due to fire. Victaulic is proud to sit on the committees for multiple organizations and be a part of code meetings. These associations create and maintain a standard that is constantly striving to be better to help eliminate loss whether that be to death, injury or economic and property loss and to continually advocate for codes, standards, training and education on fire protection and prevention methods. Victaulic is thankful for the many opportunities to support colleagues, friends, family, partners and associations striving to make the quality of life better for all, while keeping our community safe.